A seamless collaboration of style influences make this transitional landscape feel fresh, yet familiar. The modern Tuscan style of the home’s architecture pairs well with a sprawling, villa-like panorama. 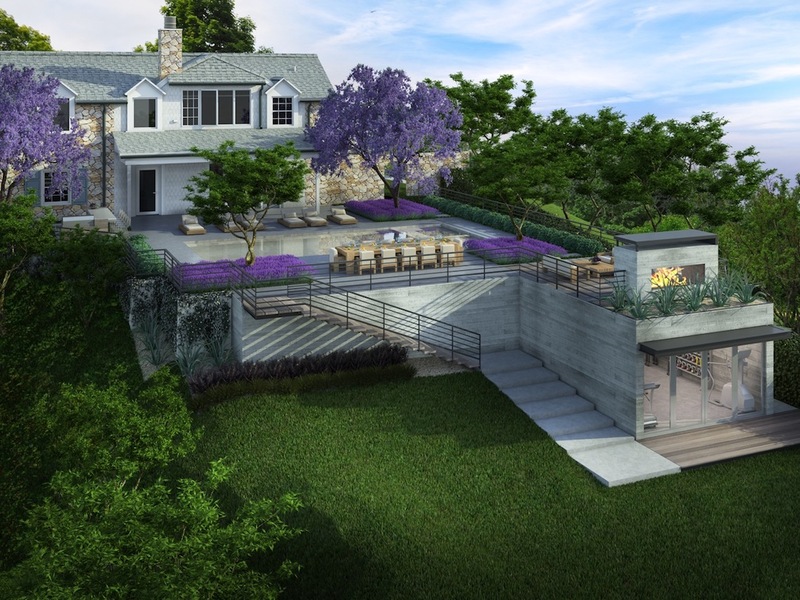 The landscape feels rich but the essence is light and airy, with a South of France meets Montecito vibe. Vegetation with olive trees, succulents and evergreen perennials further compliment the Mediterranean palette while revealing off-site views and providing screening where needed. Bringing both traditional and modern hardscape such as gravel, decomposed granite, broken concrete and stonewalls provides charm without feeling particularly like you’ve stepped back in time. Outdoor living is an essential part of California life, and is accommodated here for all members of the family, including the pets. For the adults, the design of the rear-yard may be the favorite. 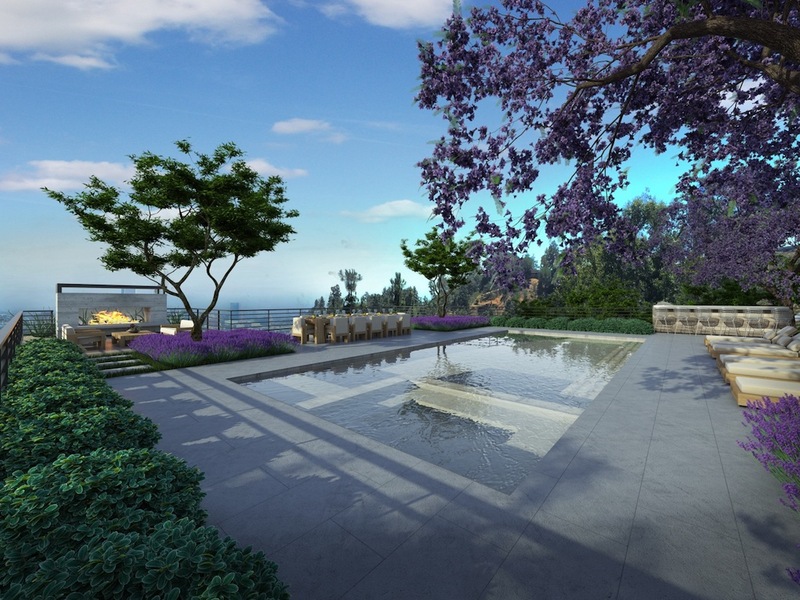 Luxury outdoor features include a firewall, swimming pool and spa with infinity edge, entertaining terrace with kitchen and bar, and a possible additional water feature. Softscape features include an expansive green lawn and gardens. Structural features such as a trellis, gates and fences, custom railings, board formed concrete walls and equipment vault create visual interest and function.